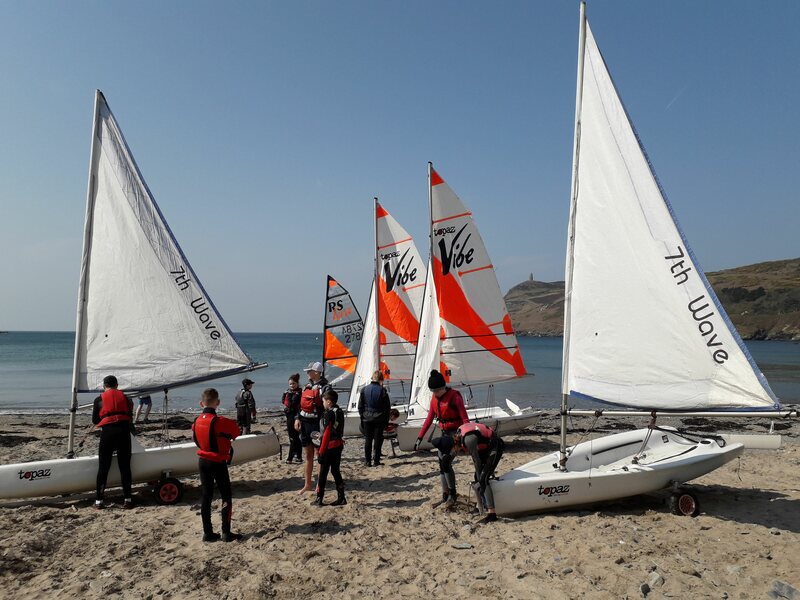 Youth Sailing Week #2: Yet another superb week of sailing, sunshine, breeze and a group of keen, attentive, good sailors. Our home-grown 7th Wave Instructing team have done a great job over the last fortnight and delivered some quality courses. Alex Daniel Nathan Pickles and Tim Chan all starting their sailing careers at 7th Wave some 10 years ago, now here they are running the show. Also on the water, the amazing Luke Crowe who showed up here for work experience two years ago and never left. 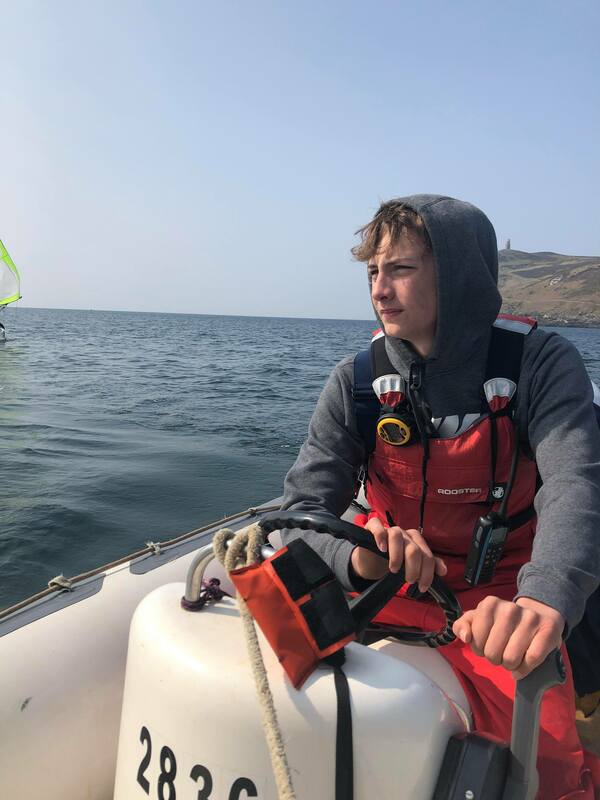 Since then he’s become a Dinghy Instructor and last week qualified as a Powerboat Instructor, oh yes, he was also the Manx Yachting Association’s Young Sailor of the Year award at the end of 2018. We are proud of them all, and looking forward to what, with this crew, promises to be an excellent summer of Youth Sailing Weeks. As well as a Youth Sailing Week this week, we’ve also got RYA Powerboat Trainer Tom Pedersen here running an RYA Powerboat Instructor course. Five candidates are currently out on the water for the final day of the course. They enjoyed some great conditions here, sunshine and a strong easterly giving flat water but some interesting wind shifts in the gusts. THe sun is shining and everyone is wrapped up warm. 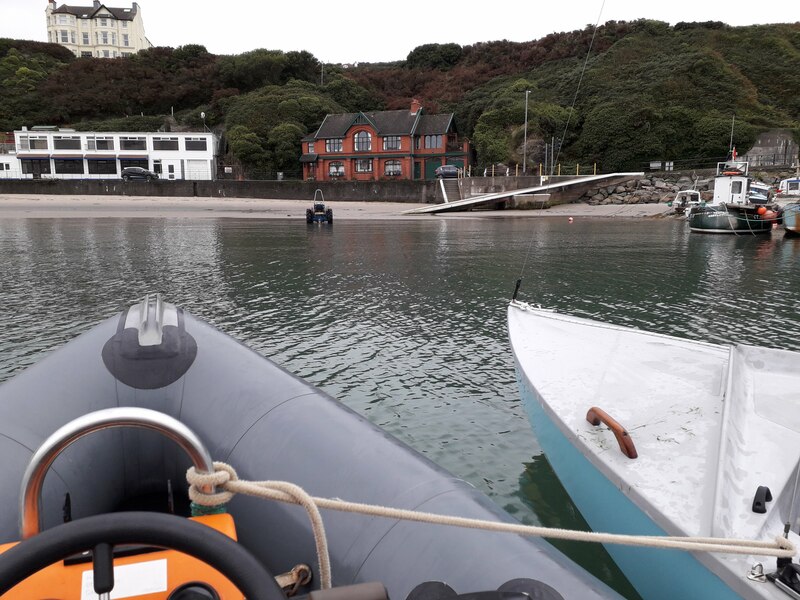 Also joining us today is RYA Powerboat Trainer Paul Magee from Ireland, he is here to moderate the course and hopefully sign off five new instructors in a few hours time. 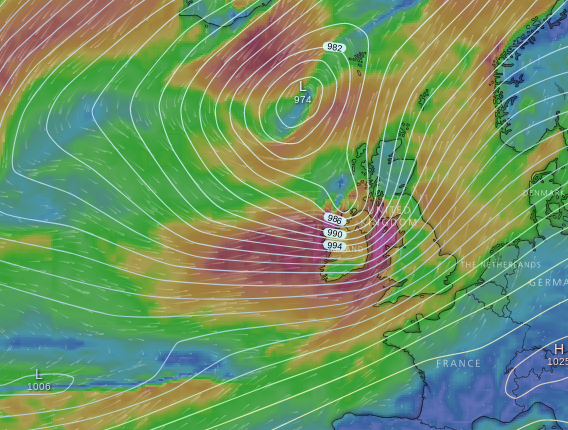 As an aside, the sailing world is very small. Fifteen years ago Jen and Tom studied on the same Maritime Leisure Management course at Solent University. Since then their paths have crossed through the RNLI where Tom was a Trainer at the RNLI College Poole and then on the coast and now here he is at 7th Wave for a few days! And…. we’ve a new addition to the powerboat fleet too in the form of a 4m Ribeye RIB! Well, that is the first week of the 2019 season under our belts, and what a great week it has been. Jen landed on back on the island last Thursday morning after a winter working at Horizon Yacht Charters in the British Virgin Islands. After a quick cuppa at home we were straight to the shed to start getting ready for our first courses of the season. We are grateful to our wonderful team, Tim Chan and Nathan Pickles did a super job on the boat park getting all the dinghies ready. Juan, Jason and my Dad lending a hand at the shed to get all the vehicles going again. And Mum for flying through the shop like a cleaning tornado! Three days later we are on the water with our first Youth Sailing Week of 2019. 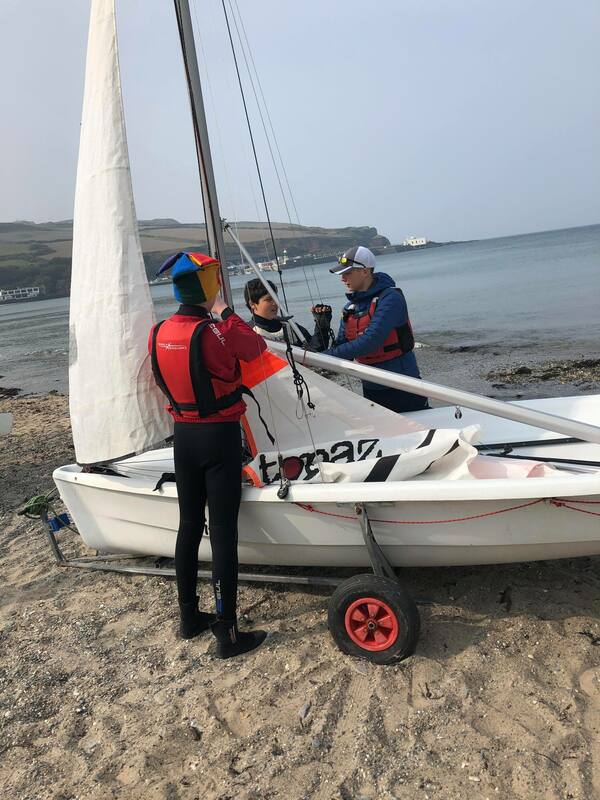 Instructors Tim, Nathan and Luke Crowe ran a superb Seamanship Course for our Assistant Instructor candidates and a fabulous Stage 2 week for our younger sailors. 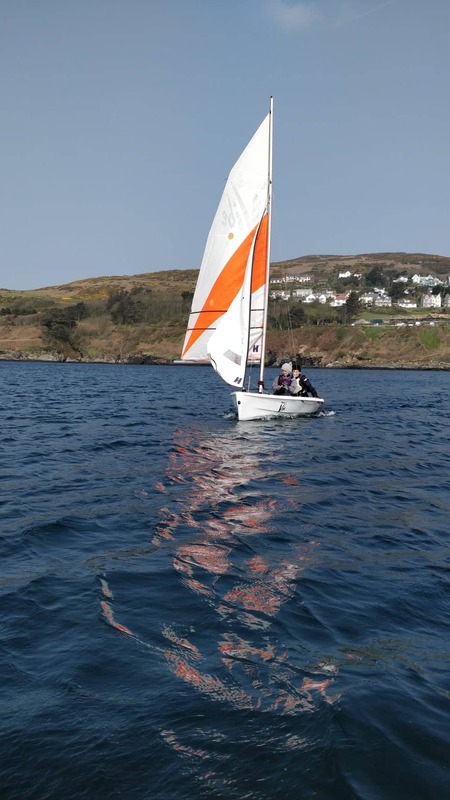 Port Erin delivered us sunshine, flat water and some great sailing conditions in the easterly breeze. We are feeling truly blessed this week. Thank you team and thank you sailors – you have been awesome. Here’s hoping the season continues like this. The BT Challenge Trophy for the Young Sailor of the Year is presented by the Manx Yachting Association. This year the trophy has been awarded to Luke Crowe(age 17). 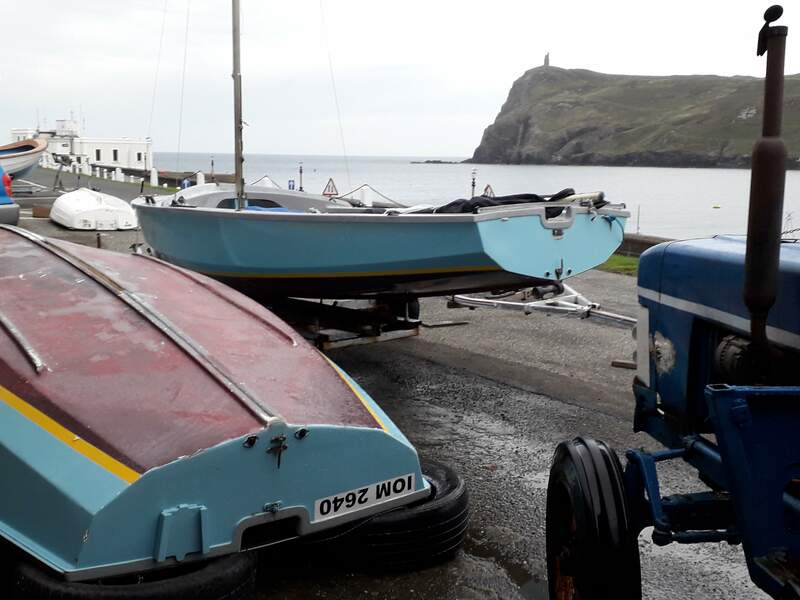 He was nominated by the Manx Sailing & Cruising Club in recognition of his achievements in 2018. Luke started training at the MS&CC in dinghies. 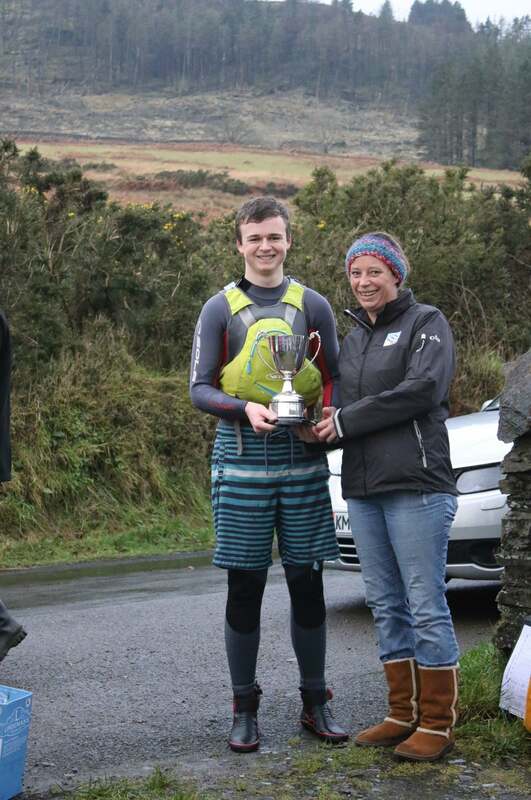 This year he has qualified as an RYA Dinghy Instructor and been a great help to the Club. He sailed with Jerry Coleman on the Sigma 33 Sea Pie de Cultra, doing a couple of Round the Island races and West Highland Week where they finished 2nd in class. Jerry says “Luke is great to have on board your boat as he doesn’t come to tell you something is broken, rather he says I found this broken and have fixed it”. Luke is competing at Injebreck in a Laser this winter and is committed to volunteering at MS&CC next season to help with junior training. In July 2017 Luke appeared at 7th Wave as a work experience student from Ramsey Grammar School. It should have been a two week placement, but he stayed for the whole summer volunteering with us. We were so happy to give him a job this year. He’s now a core member of our team, the guy that never lets you down and the first to volunteer at short notice. He travels down to us on the bus as he hasn’t passed his driving test yet. An average bus ride of 4 hours a day – true dedication to the cause! Naturally we fully endorsed the nomination from MS&CC. Congratulations Luke, an all round top man, I was delighted to present the trophy to him at Injebreck on Boxing Day. A wonderful way to round off an amazing 2018 sailing season. 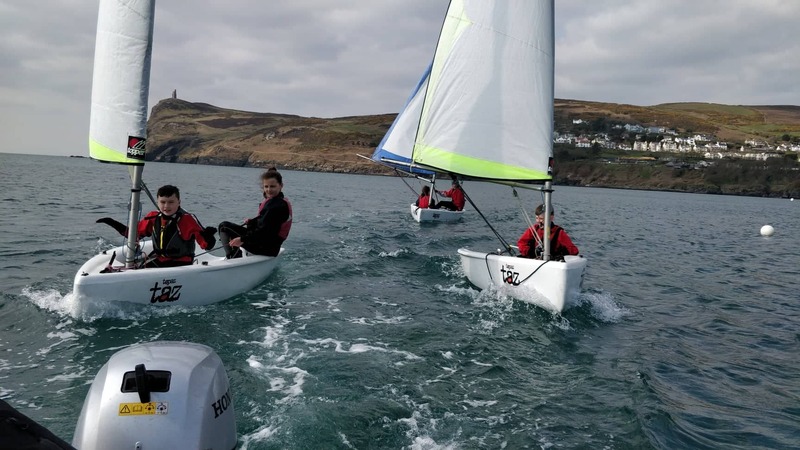 Four members of the 12 strong Manx Youth Sailing Squad are competing at the RS Tera World Championship in Weymouth this week. Racing in the Sport Fleet are Teddy Dunn, Archie Dunn and Nickolas Ellis. This is familiar territory for Nickolas who raced at the Worlds in Carnac, Brittany in 2017. Last year the youngster had some excellent starts and showed heaps of potential. He will be looking for a big improvement on last year’s 38th place. Another year older, wiser and more experienced Nickolas could be one to watch this year. Teddy Dunn has been training with the GBR RS Tera Squad throughout the winter and so far has had an excellent season finishing 3rd overall at the National Championship and 9th at the Inlands. Teddy has been with the Squad for three years now and has put a huge amount of effort into his training and events scheduled. Hopefully he will be on top form for the Worlds this week. Archie Dunn gets his first real taste of big fleet racing at this championship, making the leap from the dozen or so boats in the Regatta fleet for the really young sailors, up to racing in the full 60+ boat Sport Fleet. Archie finished 1st place in the Regatta Fleet at the Nationals, we are looking forward to watching his progression in the big fleet. Oscar Jackson, now in his second year with Squad, has moved into the Pro rig this season, so this will be his first major championship in the Pro fleet. This will also be Oscar’s first World Championship event.